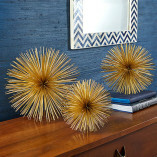 Retro meet modern with this stunning display of Gold Starburst Decorative art. Hang them in groups on your wall or simply display them on your coffee table as decorative accents! SKU: 8115. Categories: Décor, Gold Coast. Retro meet modern with this stunning display of art. 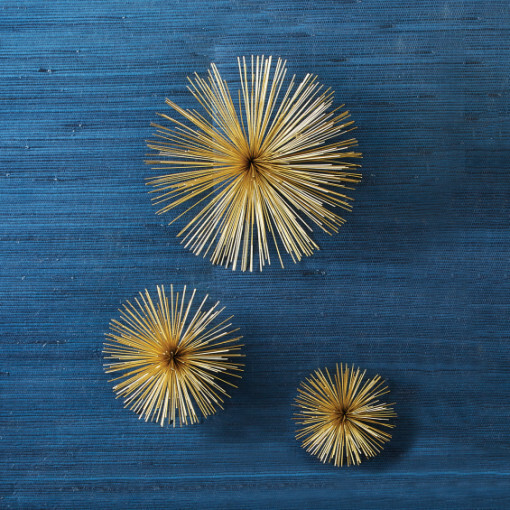 Include one or more pieces from this set of Gold Starburst Decorative Accents. 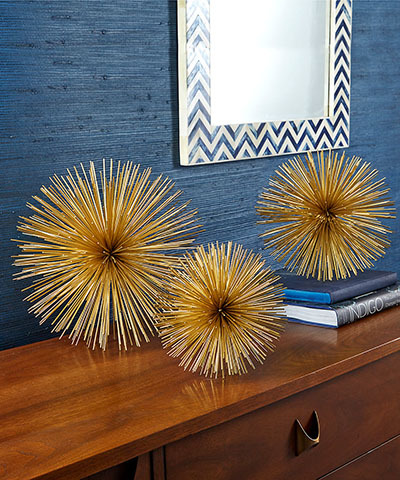 This unique display of art is constructed of slim rods of iron that assemble into a spiky sphere. 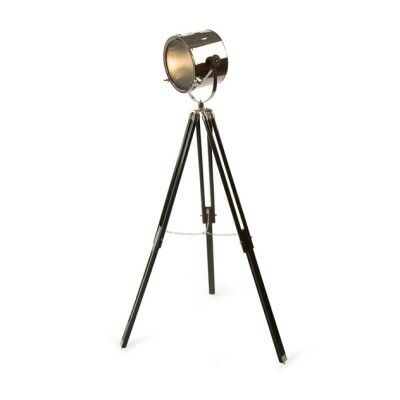 Like bursts of energy, let them bring liveliness to any space. 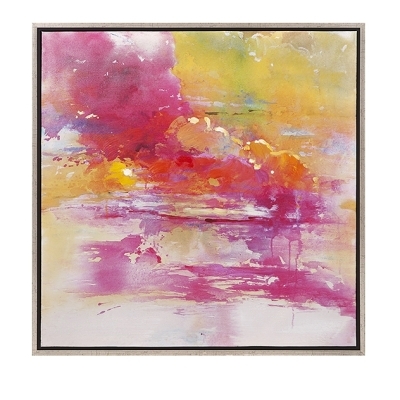 Hang them in groups on your wall or simply display them on your coffee table or shelf as decorative accents.